Posts—A Shift Away From Metal? • What are Post Types, Advantages, Disadvantages & Trends? • What are Major Differences in Glass Fiber Posts? 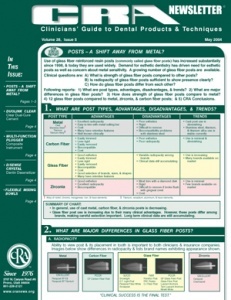 • How Does Strength of Glass Fiber Posts Compare to Metal?